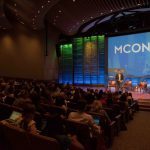 When I learned that I’d be speaking at MCON 2017, I was really excited about the opportunity to meet all of you – the next generation of makers, doers, and thinkers blazing your own trails. I was eager to hear the new ideas you’re bringing into the world, the odds you’re defying, and how you’re flipping the notion of “gatekeeper” on its head. I thought about your stories and how they’ll help you create the change you’re looking to make in the world. Then I considered just how important that is, especially in these times. My own work has taken me across over 20 jobs and the launch of two businesses of my own. As an education producer, strategist, and entrepreneur, I’ve worked with thousands of students, entrepreneurs, executives, and self-employed creatives helping them to tell better stories and execute ideas that move the world forward. Our collaborations have varied but they’ve all had a single issue in common – the struggle to create a passionate, comprehensive, audience-engaging discussion of the work we do in the world, what I call accurate and artful self-definition. That single issue and those hundreds of collaborations have all been part of a three-year learning and teaching journey, during which I developed and refined a 6-step training process shared in my forthcoming book, Tell Me About Yourself. It’s an action guide designed to help craft confident, compelling introductions and personal stories for yourself, your work, or your company. 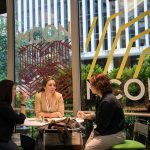 In the months leading up to MCON, I hope you’ll consider the kind of introductions you’ll make to the hundreds of people you’ll get the chance to connect with. In an ever-changing innovation economy, and a climate that demands we put our best foot forward to create change, there’s no better time to redefine your usefulness to the world than now. We’ll talk a lot more about Tell Me About Yourself and Identity on Day 2 of the conference. If you haven’t registered yet, you can save 50 percent off using my special registration link. My promo code is pre-loaded so just scroll past the Register Now button. CLICK HERE to get the SIX STEPS FOR FREE + 50% OFF YOUR Tell Me About Yourself PRE-ORDER.